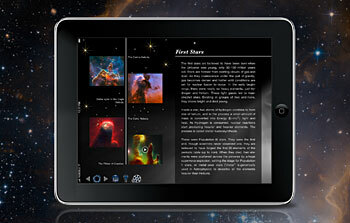 14 December 2012: A calendar featuring Hubble’s most amazing pictures of the last year is now available to download for free. With pictures of galaxies, stars and nebulae, the 2013 Hubble Space Telescope calendar is guaranteed to brighten up every month. The calendar is available to download in a number of formats including PDF, JPEG and TIFF, and can easily be printed at home or at a print shop, as it is made available under a Creative Commons License. 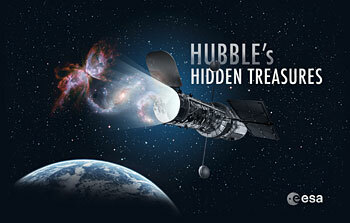 27 November 2012: The Hubblecast, ESA’s popular vodcast which explores the Universe through the discoveries of the Hubble Space Telescope, is now available with subtitles. Future episodes will be published with embedded subtitles in English, plus a selection of other languages submitted by a team of volunteer translators. Work on subtitling the archive of past episodes has already begun and will be ongoing during the coming year. To view subtitles, just click the “CC” (closed captioning) button, or select “audio and subtitles” from the control menu in iTunes. (You may need to re-download certain episodes to get the latest subtitles.) 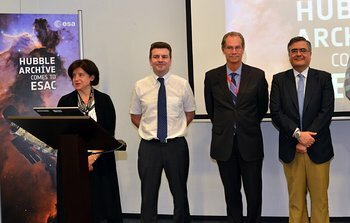 Full information on how to watch Hubblecast with subtitles, how to make them work with alternative software, and on how to contribute translations, is on the subtitles web page. 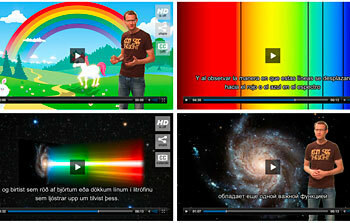 To sign up to our volunteer translators' email list and get notice of new episodes, click here. 16 October 2012: In this episode of the Hubblecast, Joe Liske (aka Dr J) shows how a team of astronomers has used Hubble and a battery of other telescopes to discover the secrets of massive galaxy cluster MACS J0717. They have discovered that an invisible filament of dark matter extends out of the cluster. 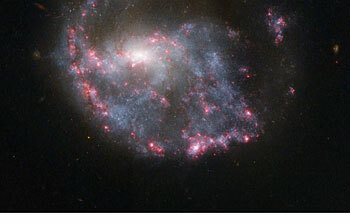 This is our first direct glimpse of the scaffolding that gives the Universe its structure. 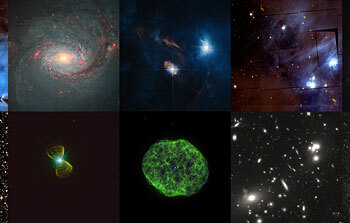 23 August 2012: In this episode of the Hubblecast, Joe Liske (aka Dr J) presents the winners of the Hidden Treasures image processing competition. 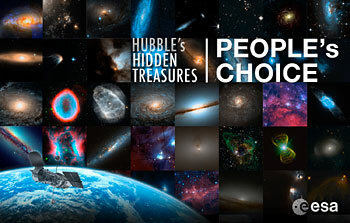 In May 2012, we asked members of the public to delve into Hubble's vast science archive to uncover pictures that had never been seen outside of the scientific community — and then to try their hand at processing the scientific data into attractive images. 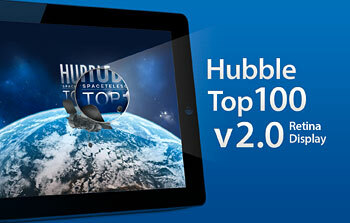 This episode presents the top ten images from the several thousand submitted. 28 June 2012: In this episode of the Hubblecast, Dr J (aka Dr Joe Liske) presents the latest discovery about HD 189733b, an exoplanet that has been repeatedly studied by Hubble. Observations taken in 2011 using Hubble and the Swift satellite showed a flare from the planet’s parent star scorching the upper atmosphere and driving it off into space. This is the first time that clear change has been observed in an exoplanet’s atmosphere. The observations give a tantalising glimpse of changing weather on planets outside our Solar System. 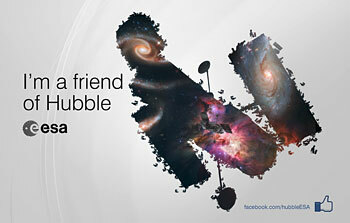 Find out how to view and contribute subtitles for the Hubblecast in multiple languages, or translate this video on dotSUB. 31 May 2012: In this episode of the Hubblecast, scientists Jay Anderson and Roeland van der Marel show how they have used Hubble observations to predict the future of the Andromeda Galaxy and the Milky Way. Projecting the motion of Andromeda’s stars over the next 8 billion years, the astronomers now know the path that galaxy is taking through space. And it’s heading straight for us! Computer simulations based on Hubble observations show how the two galaxies will crash together in around 4 billion years’ time.